That's right. We're heading to N'Djamena, Chad at the end of the year. Don't be alarmed if you don't know where that is and have to Google it. Google, Google Earth, Wikipedia and Operation World have been our goto resources over the last few weeks. 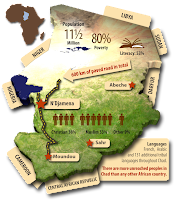 For now we'll finish support raising, Phil will do some MAF flight standardization and then we'll move to Québec City, Québec to learn French – it's the main language in Chad but definitely not the only one. After about six months of French we fly to the UK for another two week course and then straight to Chad after that. Knowing the country in which we'll be working has renewed our motivation to push through the remaining steps. We've started a Chad page where we'll be fleshing out a profile of the country and attempting to show what our work and life will look like there. 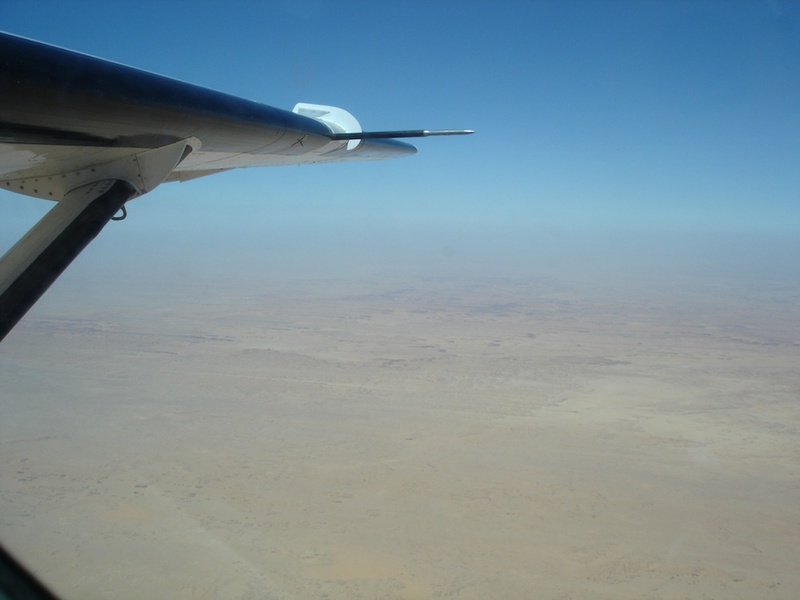 There are photos and videos of life and MAF's work in Chad. I (Phil) leave today for Nampa, Idaho and MAF's back-country training grounds. I'll do one week of ground school learning MAF's detailed procedures for everything they do with an airplane. Three weeks later I'll be back, this time with family, to put all of that into practice. It's called flight standardization; it takes about 4 weeks of flying every day with an MAF instructor into some of Idaho's toughest back country terrain and airstrips. Anyone I've talked to who's been through it says it's lots of work, but it's a once-in-a-lifetime experience and it's a blast! We'll move into an apartment in Québec City and begin daily one-on-one lessons with a retired French teacher who has a reputation for being great with missionaries heading to French-speaking countries. She'll work with one of us in the morning and one in the afternoon to accomodate looking after Kaitlyn and Lily. Our girls will probably learn French before we do – maybe they'll help me with my homework. We don't know a lot of the details yet so as they come in we'll do more blog posts. Check out the Chad page. Thanks Josee, That's right, you speak French! You could offer some pointers down the road. Cool. How exciting for you to know where you will be serving. Quebec City is beautiful and your tutor is excellent and nice. We finished 5 months of french lessons with her this past December. We will be thinking of you as your journey continues.